Just over a year ago, Tori Menold, Business Process Manager for Granger Construction, was frustrated with the lack of opportunities for women in the workplace. In response, she wanted to do something that would increase awareness while simultaneously preparing women for the workforce. In 2016, Menold, along with Carol Cool from Michigan State University’s Infrastructure Planning and Facilities, co-founded the organization Women in Skilled Trades (WIST). 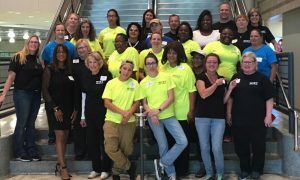 The organization strives to prepare women for a fulfilling career in the construction skilled trades and connect them with other tradeswomen. WIST was founded with support from several organizations, including the Women’s Center of Greater Lansing, the U.S. Department of Labor Office of Apprenticeship, Michigan Associated General Contractors and Capital Area Michigan Works. One way WIST attempts to accomplish their mission is through educational programs for women interested in getting started in the skilled trades. WIST hosted its first Women Build Event: Exploring Careers in Construction, in September 2017. Participants explored six different skilled trades including: plumbing, carpentry, electrical, laborer, masons/bricklayer and equipment operator. The women rotated through each session and learned about daily work, requirements of entry into the apprenticeship program and took part in hands-on activities. The September WIST event also included keynote speaker Adrienne Bennett, the first African American female Master Plumber in the United States and the first female Plumbing Inspector in the state of Michigan. The Licensed Plumbing Contractor and CEO of Products Direct LLC provided inspiring advice to participants. In a subsequent event hosted by WIST, participants had the opportunity to operate a scissor lift, boom lift and finish concrete. Menold says one of the most rewarding parts of the event was watching the women lift the stencils from the concrete they prepared, seeing how their hard work had culminated into a beautiful design. Recently, WIST announced its newest endeavor— the Apprenticeship Readiness Program (APR). This program has been developed specifically to help women succeed in the construction skilled trades. 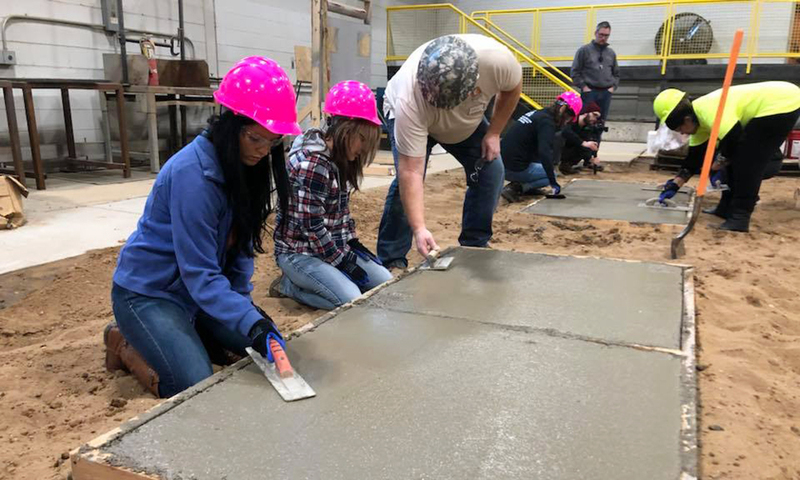 This 13-week program will kickstart a career in construction by introducing women to the fundamentals and basic skills of the industry, through a combination of classroom and hands-on activities. After completing the APR, WIST graduates will be placed into a sponsoring Building Trade Union Apprenticeship Program, where they can continue their on-the-job training while getting paid. Participants in a Women in Skilled Trades event in 2017. Currently, six local trade unions guarantee an interview to any WIST program graduates and numerous local employers have indicated commitment to those finishing the WIST program. So far, women have been incredibly satisfied with the opportunities that WIST provides.